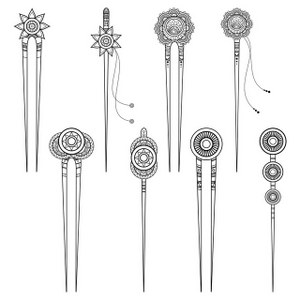 Usage notes: The French expression monter en épingle dates back to the days when everyone wore hats and, more specifically, hat pins. 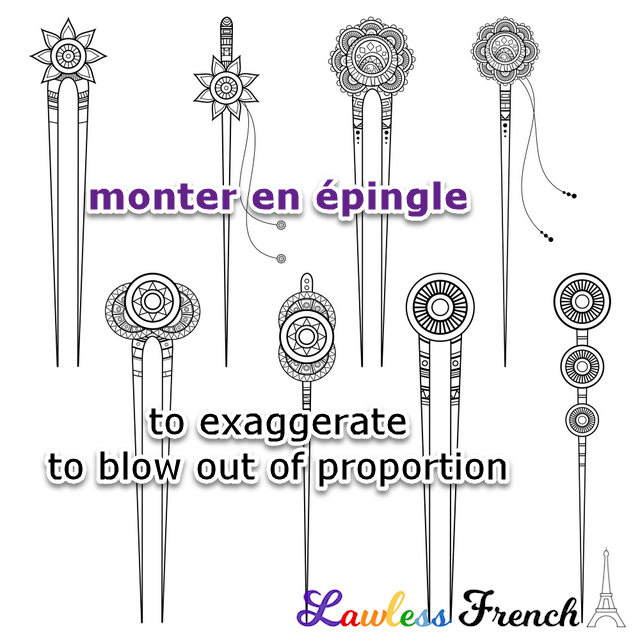 The elaborately decorated heads of these long pins attracted attention to even the plainest of hats, so monter en épingle means to draw attention to something with the verbal equivalent of a fancy pin: exaggeration. Élise a monté la rumeur en épingle. Élise blew the rumor out of proportion. Ce n’est pas la fin du monde – ne le monte pas en épingle ! It’s not the end of the world – don’t make a big deal about it!